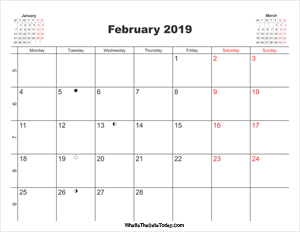 This February 2019 Editable Calendar designed in vertical layout and come with three mini calendars. It's available in Word format so you can easy download, add holidays or important notes before print. 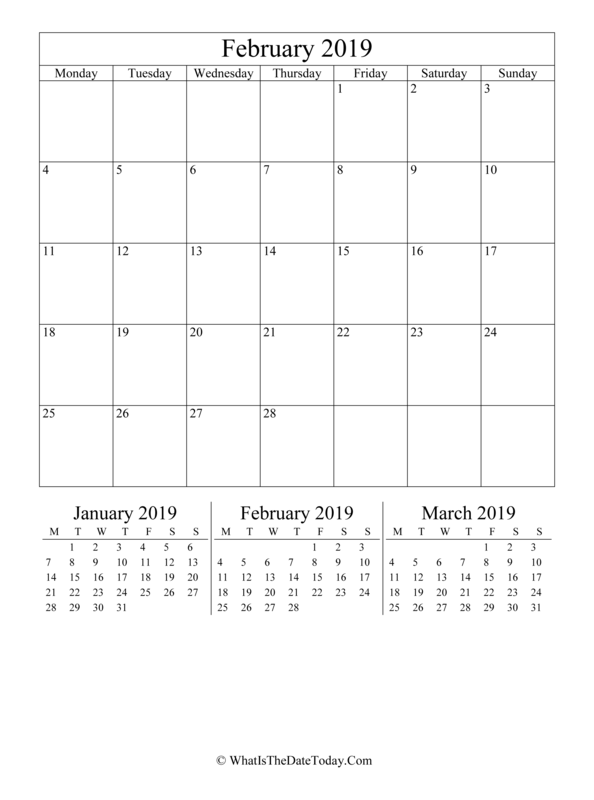 Version: 2019 calendar with three mini calendars at footer. 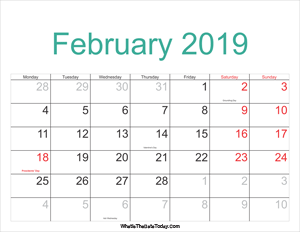 List of february holidays, local holidays and national observances. 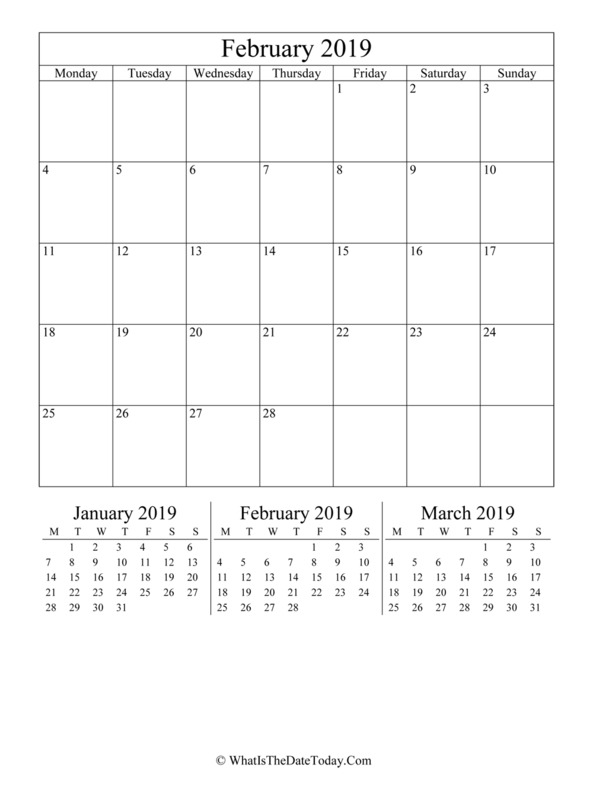 You can find more information in holiday calendar 2019. Word (.docx) format: Can be opened in MS Word, Google Docs or any other word processing app that's compatible with the MS Word or .docx file format. 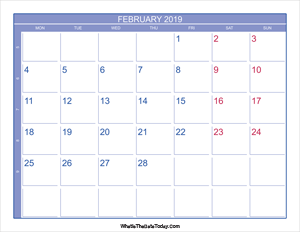 Calendar with this type can be edited, adding your own events, notes and print. PDF format: Can be opened in Acrobat Reader or another program that can display the .pdf file format and print. PNG format: Can be opened in Image viewer or another program that can display the .png file format and print.